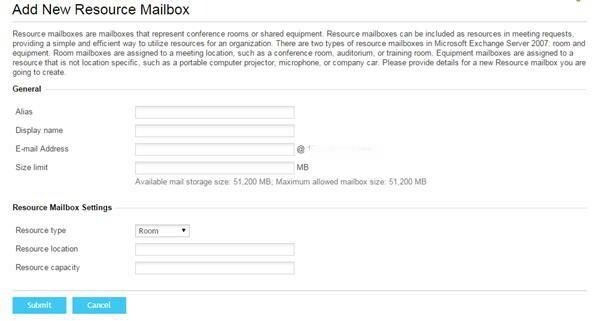 Resource mailboxes are used for bookable rooms and equipment. You need to have the resource purchased prior to setting one up. Please refer to the 'Order Additional Resources' if you haven't yet purchased this already. Click Exchange > More Services, then Resource Mailboxes. 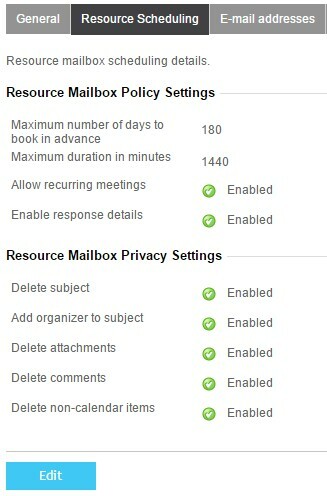 To create the resource mailbox click Add New Resource Mailbox. 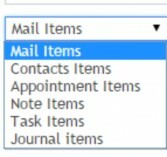 You will then be asked to enter all the details for the resource mailbox and select the type of resource mailbox. This can be for a room or a particular piece of equipment. Note: The Resource Capacity is used to confirm the maximum amount of user's that can be invited to an appointment. You can change settings so that meeting requests need to be processed manually from this screen or change it so that external users can book meetings as well. The 'Resource Scheduling' tab provides the settings below which can be changed if required. mail folders, calendars, contacts and tasks. Click More Services, then Public Folders. To create the public folder click Add New Public Folder. 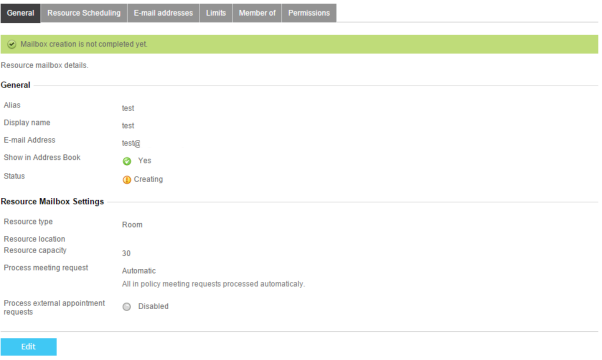 Then you will be asked to enter all the details for the public folder, and then select the type of public folder. This can be any of the ones below. You can also make it Mail- Enabled, which will mean you can send emails to it.